I think that it appeals to adults because it is pretty dark, creepy and does discuss some issues which maybe a bit more challenging to understand. It is a young adult (YA) book, so 12+ really. If you’re into your reading and maybe in year six, why not get your parent/carer to read it? They will most probably really like it like I did and they could judge whether you should read it or not. There is a brief summary below. Set in the 1800s, Faith lives within a sexist society where it is widely believed that woman are inferior to men. A scientist friend of her father even openly tells her that women have smaller brains and basically can’t be clever. Faith feels as though she has to suppress her thirst for knowledge as it is ‘not proper’ for a lady. Just imagine, feeling as though you have to bottle away thoughts and feelings, wanting to talk freely and learn. Being seen and not heard. Boy, I’m glad I was born when I was! Nothing will stand in my way to learn more and express what’s in my mind. I really feel for Faith. Her father is a priest and a scientist, hoping to unlock information from fossils to help understand evolution and how the world was created. Those of you in year six have evolution on the curriculum and will know all about the politics in this era when Charles Darwin published his theory. It turns out that Faith’s father, Erasmus, has faked some of his fossils and has to move away to avoid the scandal. He takes all of his books, plants and fossils. Erasmus seems to be hiding something – but what? Why? Second book of the Easter holidays. Next Post How to look for a lost dog by Ann M Martin. Thank you Ella in Year 6! My Mum and I went to WHSmith to buy some books and I bought “Harry Potter and the chamber of secrets” ( Which I am reading now). 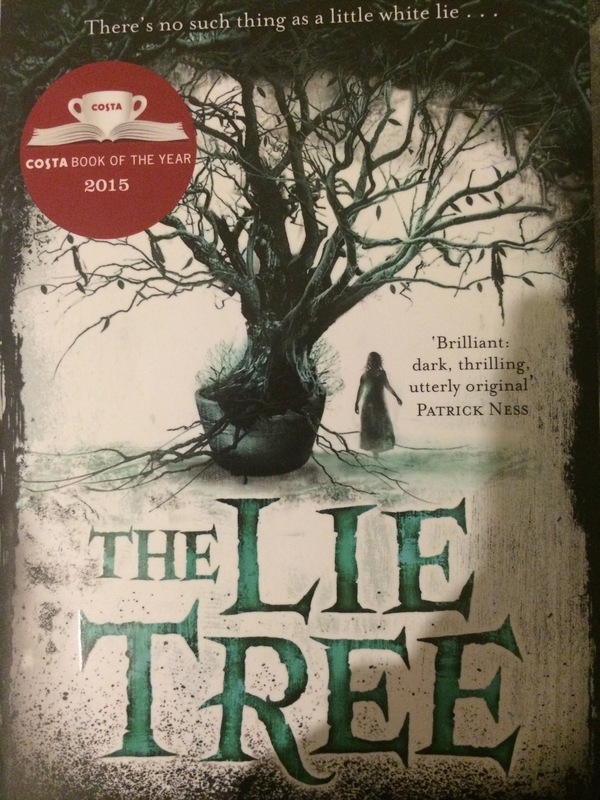 And we also bought “The lie tree” which my Dad is reading at the moment!